With World Tour Finals (WTF) qualification wrapping up next week in Glasgow, 15 of the 40 tickets have already been clinched, with most of the remainder expected to be finalized by the end of the Hong Kong Open. 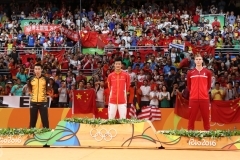 The China Open caused very little change in the list of tentative qualifiers – just 4 changes across the 5 disciplines – but it did make for a drastic reduction in the number of hopeful ascendants. With all of the pertinent Hong Kong Open mixed doubles first round completed, the chase packs range from 2 in women’s doubles and singles to 9 in men’s singles, with several of the bottom entries on these lists expected to drop off early this week. Let’s take a look at each discipline. 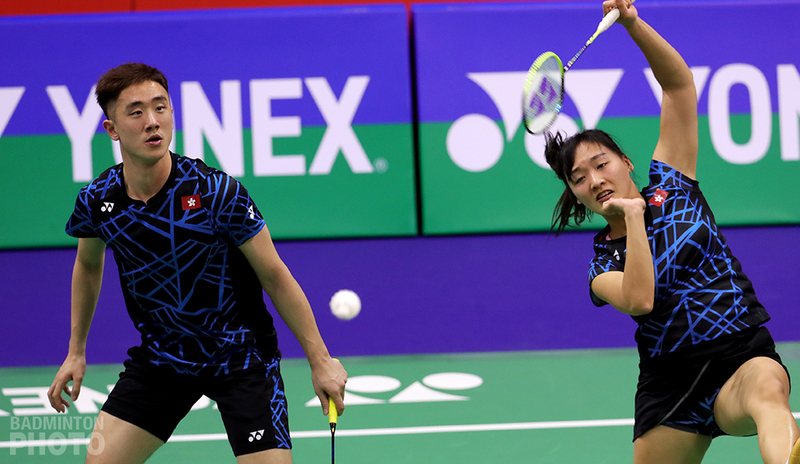 Women’s doubles may take the longest to fully resolve as the top two pairs are actually vying for a remaining spot for Japan as one is already assured of going to World Champions Matsumoto/Nagahara, currently #3. Olympic gold medallists Matsumoto/Takahashi did the latest leapfrog act, into first place and they are likely to get the last laugh, too, as they are slated to play the Syed Modi Super 300 the week after Hong Kong. 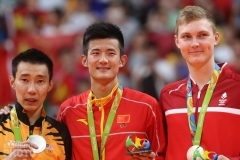 In Fuzhou, three more pairs joined the World Champions and Kititharakul/Prajongjai as having their Guangzhou spots assured. The Stoeva sisters have eschewed Hong Kong in favour of the Scottish Open but they have already clinched a spot. Of the 4 pairs within striking distance of the Europeans, 3 are in the same half of the Hong Kong Open so there is no way they can all crowd into the ‘top 8’ ahead of the sisters. 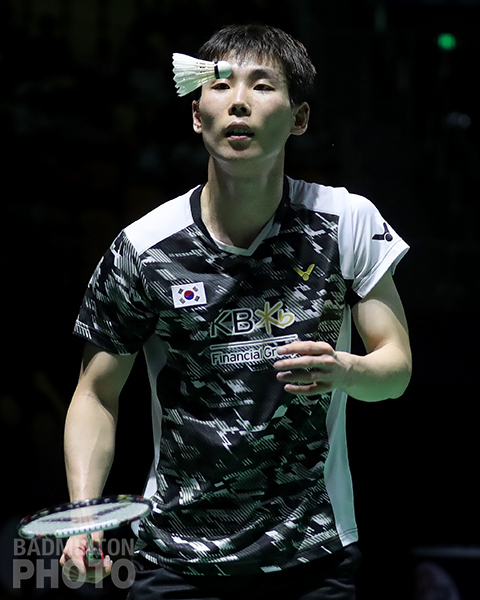 In addition to the top pair, the other change in Fuzhou came when Lee So Hee and Shin Seung Chan (pictured) of Korea bolted from 13th to 9th position and bumped Fruergaard/Thygesen off the list for now. The Koreans can clinch their spot with a first round win in Hong Kong but China’s Du/Li may have to wait and hope if they are unable to beat the World Champions in their opener on Wednesday. This was the closest discipline to being all wrapped up. 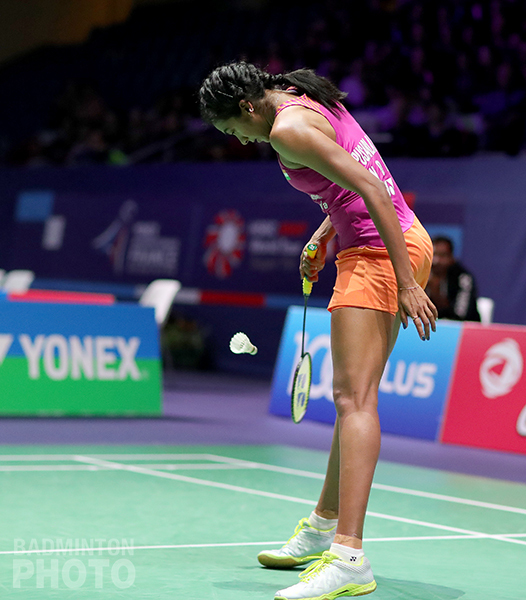 In addition to the 5 spots already confirmed, simply stepping on court twice will be enough for Pusarla Venkata Sindhu (pictured) and Intanon to solidify their Guangzhou invitations. That leaves only Michelle Li’s position in jeopardy. The Canadian had the chance to neutralize He Bingjiao in Fuzhou but was unable to do so but still, if she can win one match in Hong Kong, He will have to win the tournament to pass her. Cai Yanyan’s outside chance depends on her winning the title at the Scotland Open, making her one of only two players who still might benefit from Glasgow points. Mixed is one of the more interesting disciplines in terms of WTF qualification, even though only one spot remains unclinched. 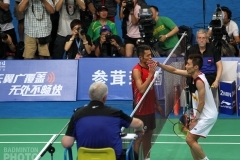 Olympic gold medallists Ahmad/Natsir moved into 8th spot in Fuzhou but they are done for the year. Of the 6 pairs within striking distance on Sunday, 4 remain and one of these, Tang Chun Man and Tse Ying Suet (pictured top), has already taken tentative possession of the 8th ticket for Guangzhou. 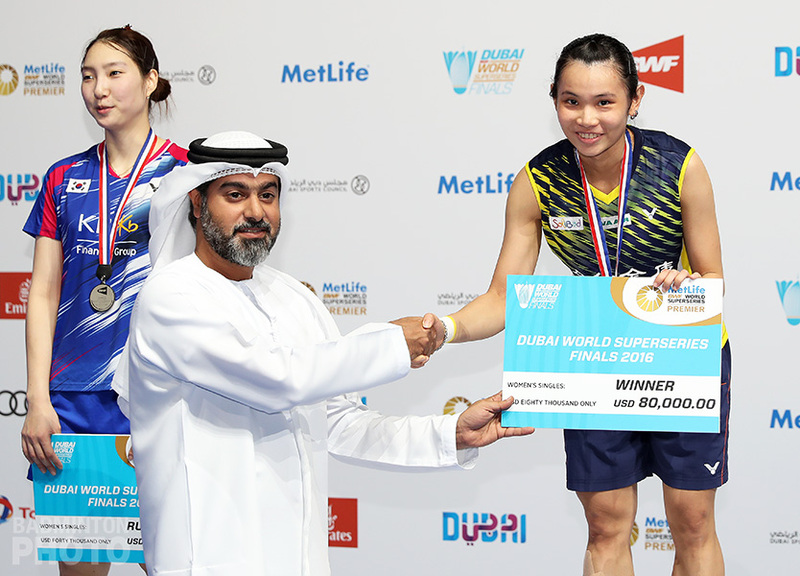 The battle for 8th spot will likely be finished by Friday, as Praveen Jordan / Melati Daeva Oktavianti (pictured) and the Adcocks are in the bottom half of the draw along with Tang/Tse. The Adcocks are the farthest behind but they have a chance to block both other pairs from reaching the final and also from finishing ahead of them in the race to Guangzhou. If all 3 fail to reach the semis, it will open the door for Marcus Ellis and Lauren Smith to qualify by winning a third straight Super 100 title. 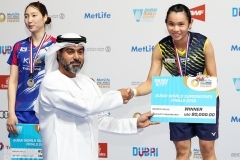 Wang Yilu and Huang Dongping were the latest pair to clinch their ticket the the Finals. Their first round put them out of reach of compatriots He/Du. The top 4 pairs here have clinched their WTF spots along with World Champions Li/Liu but there are still 3 spots that are difficult to call. What makes this discipline interesting is the number of pairs that have two events left to earn points from. The highest ranked of these pairs, Takuto Inoue / Yuki Kaneko (pictured), are in the same corner of the draw in Hong Kong with 2 of the other closest challengers. It remains to be seen whether either of the Indian pairs bringing up the rear of the chase pack will still be in the race once they get the chance to play at home at the Syed Modi. Just as with the Superseries, it is men’s singles that has the biggest chase pack even late in the season. Still, the bottom 3 will be out of the race as soon as Lin Dan and Son Wan Ho step on court on Wednesday. Korea’s Son Wan Ho (pictured) was the only new addition to the top 8 last week but he has 4 players less than 5,000 points behind him and one of these has two tournaments left. On the other hand, Jonatan Christie has the added complication of having to catch his compatriot Anthony Ginting, who is over 5,000 points ahead. 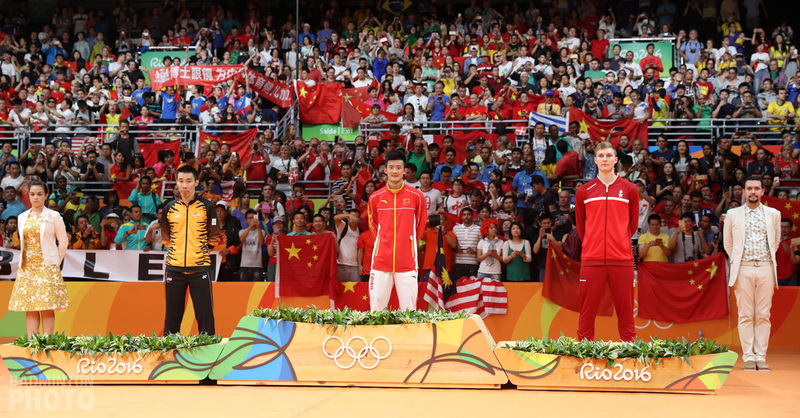 Last year, it was Olympic champion Chen Long who made a huge leap in the last two weeks. This time again, he might just have a chance at catching Lin Dan if he can claim the title in Hong Kong. However, Srikanth Kidambi seems to be in good form these days, too, but he at least has the chance of coming up with two strong podium finishes to give India two qualifiers for Guangzhou overall. † In the above analysis, I am using a conservative definition of ‘clinch’ – marked on the table in bold purple, highlighted in green – that entails a top 8 player having enough points to be out of reach of the 9th place player or pair even should the latter win the last titles and the former be unable to play the reamining first round matches. I have shown in bold purple the 8 players and pairs who would qualify were the tour to end after the Fuzhou China Open (or on Tuesday in the case of mixed doubles). I have shown in grey the players or pairs who cannot catch one of the current 8 qualifiers or who cannot catch either of two qualified compatriots. Finally, I have displayed a (2) if a player or pair has entered more than one event over the next 2 weeks. An asterisk (*) denotes a player who can only qualify by beating out a currently qualified compatriot. The numbers are based on calculations to include points earned from the China Open but the official Race to Guangzhou standings will be available later in the week from the BWF website.